NASA revealed details of the space agency’s strategy to get humans to Mars, stating that the issues surrounding the mission are solvable. However, there isn’t a date to execute the plan yet. The United States is “Closer to sending American astronauts to Mars than at any point in our history,” said NASA administrator Charles Bolden, according to Discovery News. 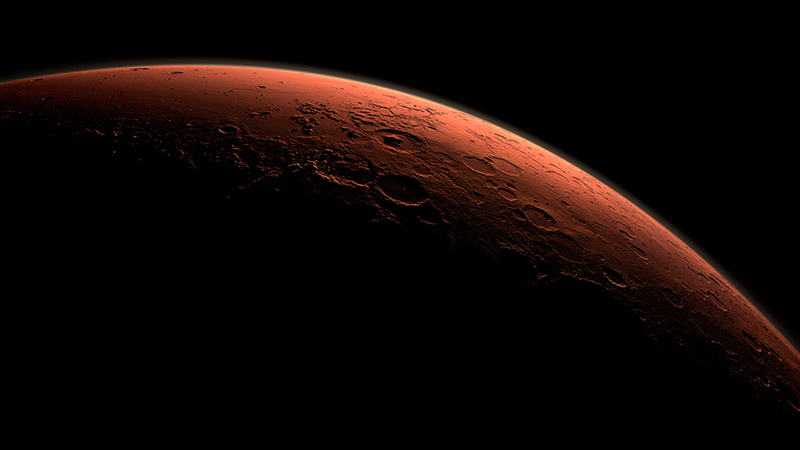 The guidelines are contained in a 36-page document called “Journey To Mars: Pioneering Next Steps in Space Exploration” released to the public, ahead of the discussion with the Congress about budget and other matters. The document is part of a three-stage path that will lead NASA’s astronauts to the Red Planet in a near future. “In the coming weeks, I look forward to continuing to discuss the details of our plan with members of Congress, as well as our commercial and our international partners, many of whom will be attending the International Astronautical Congress next week,” Bolden said, according to Discovery News. Astronauts will be facing high levels of radiation, increasing the risk of cancer, bone loss, and immune problems, as they will be spending up to three years in deep space when the mission launches. “Living and working in space require accepting risk, and the journey is worth the risk,” it said, calling Mars “an achievable goal” and “the next tangible frontier for expanding human presence,” the document states. The first step, (already taking place) involves experimenting and testing the human health and behavior, life systems like water and food, and 3-D printing in the International Space Station. The second stage, called “Proving Ground,” is set to start by 2018 with the launch of a new space capsule named Orion, supposedly “the most powerful rocket ever built”. The third and final phase is “Living and working on Mars’ surface and in transiting spaceships that support human life for years, with only routine maintenance, as well as harvesting Martian resources to create fuel, water, oxygen, and building materials,” according to the report. “Crews must be protected from the unique hazardous environments of deep space and on the Martian surface. Often, systems will have to operate autonomously or remain dormant for years in preparation for the crew,” the document read. NASA stated that they need to develop new adequate space suits for this mission, and advanced solar electric propulsion so the spacecraft runs efficiently. Previous to the launch of the mission, the US space agency, and other international partners are going to develop a series of new rovers to send them to Mars to keep collecting data. “The most important challenge for human pioneering missions is keeping the crew safe for long-duration missions up to 1,100 days,” NASA concludes.